A young pilot pushes his airplane to its limits in this Swedish spot. Whether you spent your youth playing video games in the ’80s, ’90s or even more recently, one thing that’s consistent is that you never remember what, by modern standards, were chunky pixels and muddy visuals. Instead, you think about how the games came to richer life in your imagination, thanks largely to spirit of exploration and discovery. 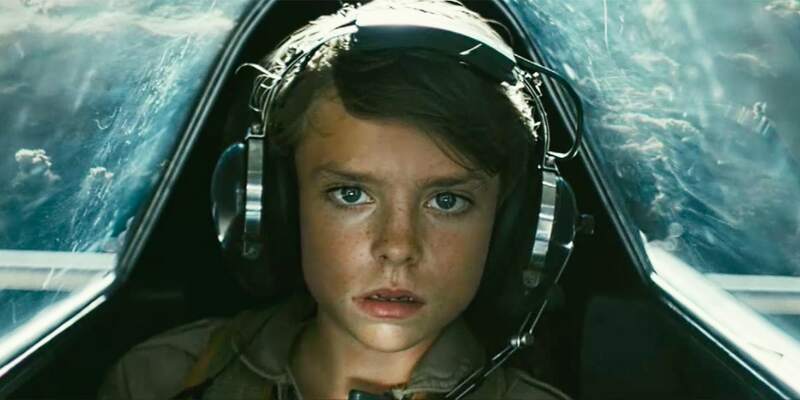 A cinematic new spot from Swedish telecom Com Hem and agency M&C Saatchi Stockholm perfectly captures this experience, showing us the perspective of a young boy soaring through desert landscapes in a vintage aircraft. He pushes the limits, first through the ravines and then through the clouds, reaching the outer limits of the atmosphere in a scene reminiscent of Chuck Yeager’s brief moment at the edge of space in The Right Stuff’s depiction of his NF-104 Starfighter flight. Luckily for the boy, his journey doesn’t end quite as terrifyingly as Yeager’s pulse-pounding ejection, though our young aviator does get removed from the cockpit rather abruptly. Directed by Rune Milton, who’s created visually stunning work for clients ranging from Ikea to Carlsberg, the spot is a rather epic celebration of a lofty product: Internet service offering speeds of 1,200 Mbps (a rate most of us can hardly imagine here in America, where we’re lucky to get 70 Mbps, or even 2 when staying at a hotel).